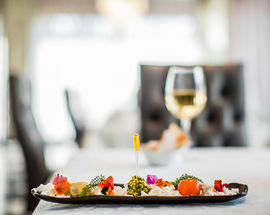 Amuse-Bouche at Morningside's Fairlawns Boutique Hotel is a refined hideaway from the bright lights of Sandton, within an easy few minutes drive of Sandton Central. An award-winning five-star boutique hotel with villas and a sumptuous spa Fairlawns has played host to some of the world's most notable people. 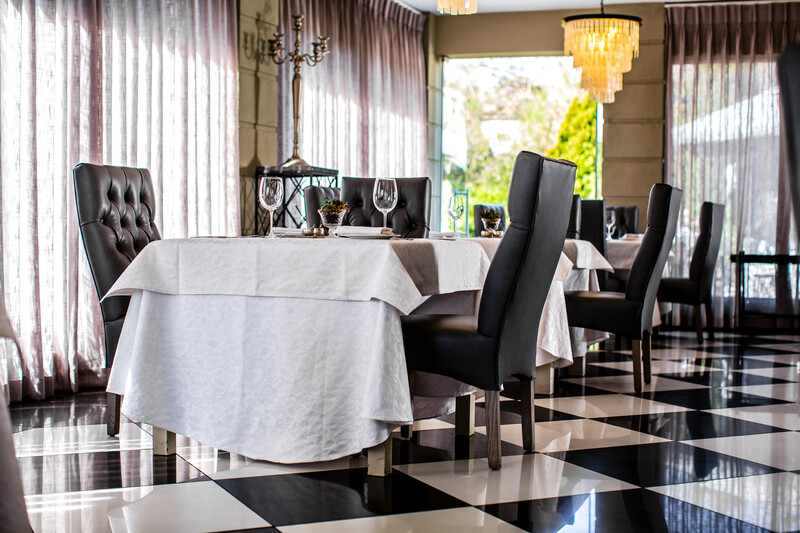 Amuse-Bouche with its harlequin-patterned tiles, wall of mirrors and sedate chandeliers is an elegant setting, as comfortable for an intimate romantic meal for two as it is for a sedate business lunch or dinner. 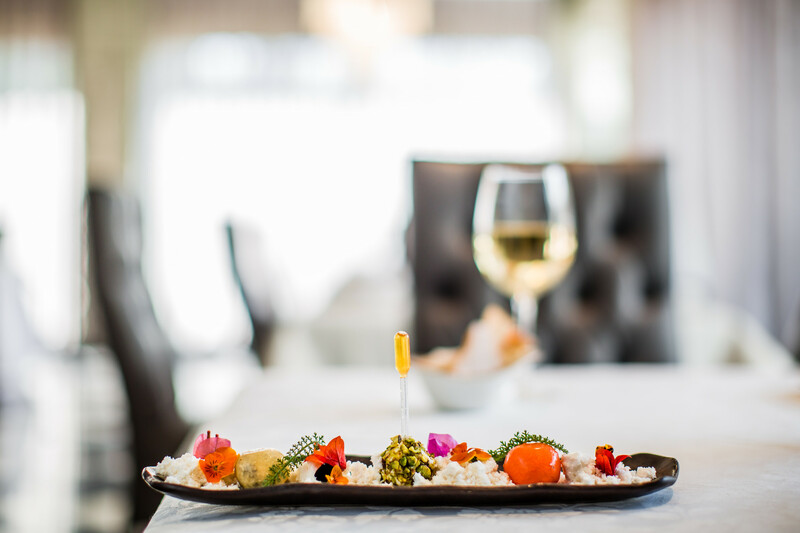 The à la carte menu is designed to please all tastes and is also specially marked with vegetarian, Banting, nut-free options and even suggestions of 'healthy' options. Of course an amuse-bouche or two between courses brings to life the restaurant's name. 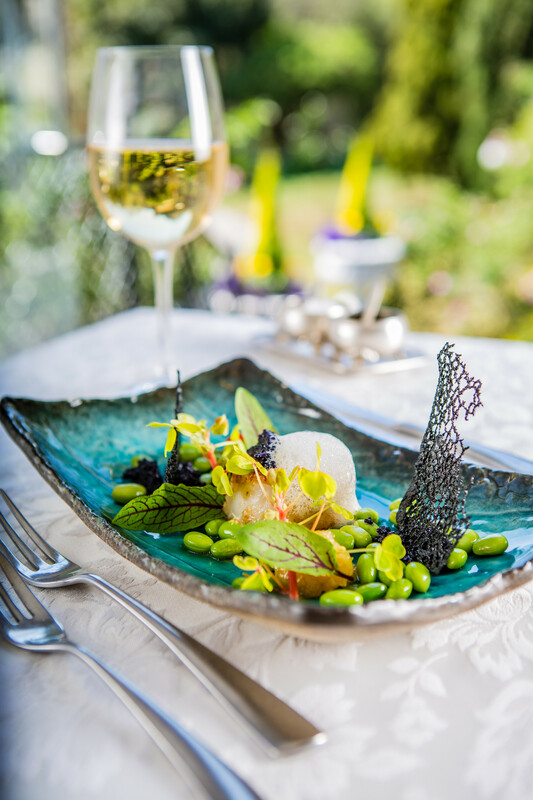 Dishes can be paired with the hotel's Platinum award-winning and extensive wine list, and if you have a more adventurous palate ask to be taken to the cellar as there are many wines that are unlisted. There's also a selection of Champagnes, and the Muse Champagne Room next door – a collaboration with French brand Perrier-Jouët – is a lovely place to start the evening. The service here is friendly and polished. For dinner we recommend the Salmon with ponzu, pea, kimchi and cauliflower. You might need to take out a loan but the Crayfish Thermidor will be worth it – succulent seafood with hearty and complex flavours of confit shallots, tarragon and saffron. The lamb dish, a marinated rump prepared with a Middle-Eastern influenced marinade and served with butternut, spinach tian, apricot and chilli bites looked worth a return visit. For dessert be prepared to wait a few extra minutes for the molten hazelnut lava cake with honeycomb ice cream. Portions are generous so this is a dinner over which to linger. 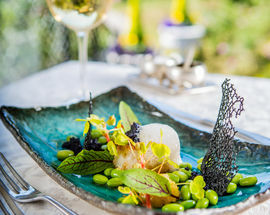 Amuse-Bouche Restaurant also serves breakfast, and opens onto the terrace with views of the splendid garden and pool. 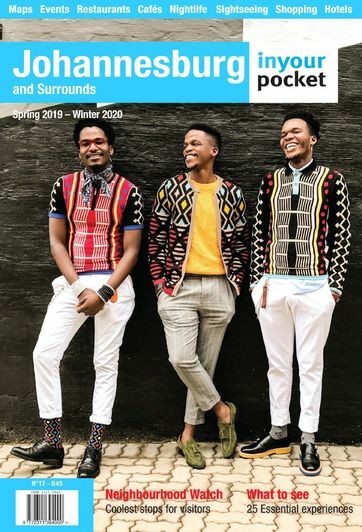 Average price of a main course R270. Corkage R350. 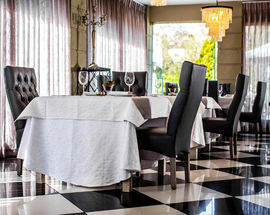 Breakfast from R195 per person, a la carte and full breakfasts from R235 per person.